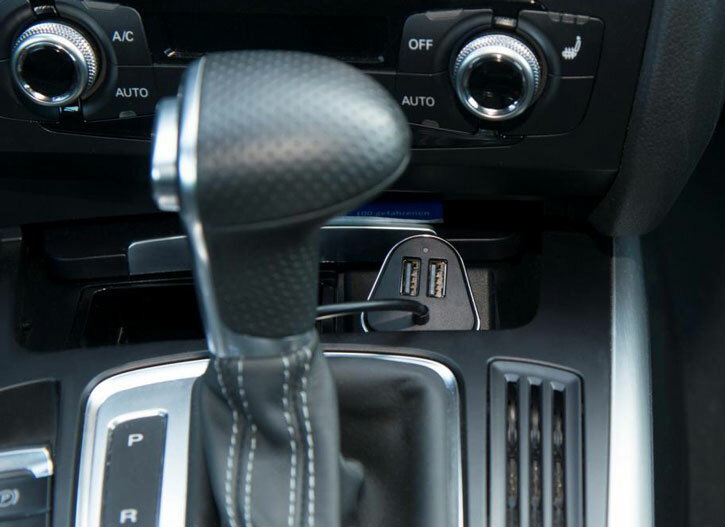 This USB car charger from 4smarts features an impressive 4 standard USB ports for charging a range of devices, including smartphones, tablets, sat navs, dash cams and more. 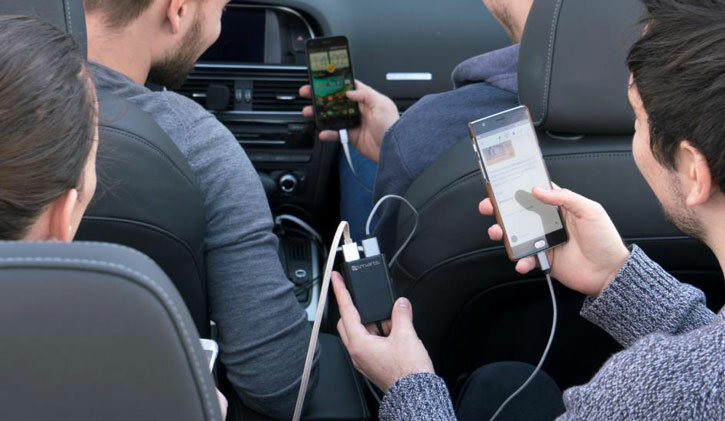 A shared 9.6A capacity ensures an ultra-fast charging speed for your devices. I like that I can do four devices at once. Great quality product. 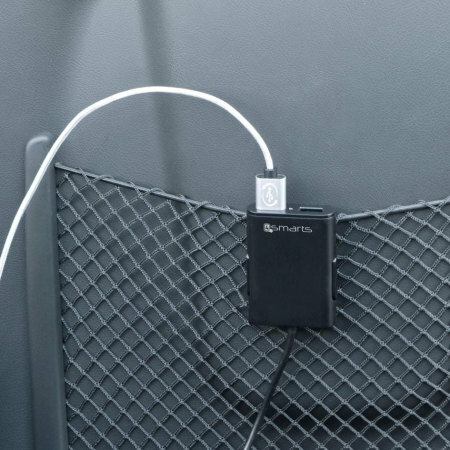 It provides the power we need to charge our phones faster then I was used before to have in my car. All USB ports are very good as all cables I use fits very well. Also the plug of this device got very well in the car's socket. It don't move at all. Very happy with it. Nothing I needed to know. I was very pleasantly surprised with the quality and sturdiness of the unit. Plenty of cable to feed back to passengers to plug items in to share. 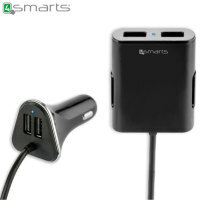 The 4smarts Dual USB Car Charger features 4 standard USB ports, meaning you can charge any 4 devices which have USB charging compatibility simultaneously. This includes virtually all smartphones and tablets, as well as Bluetooth speakers and many other devices. You'll never need to be without power again. 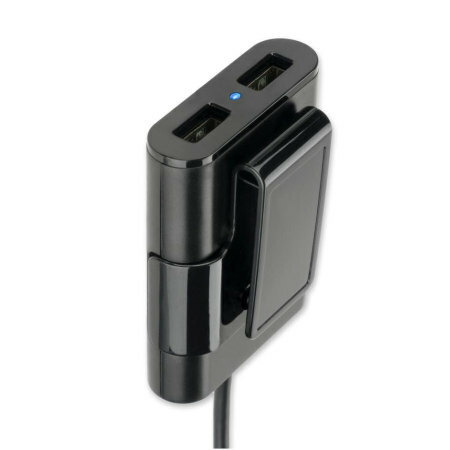 Do you have shorter charging cables for your device? Didn't manage to claim the front passenger seat? Don't worry! 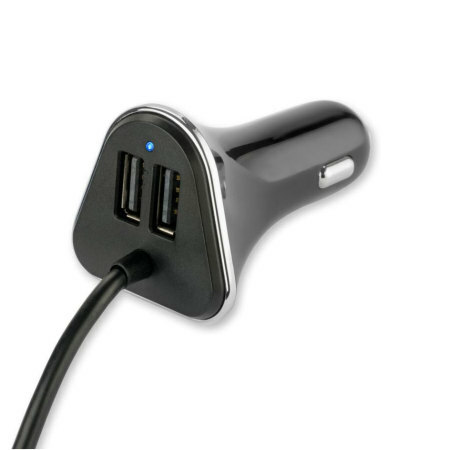 This car charger has 2 USB ports on the adapter itself and a further 2 on a USB hub, connected by a cable - ideal for placing in the back seat and offering greater convenience for rear passengers. 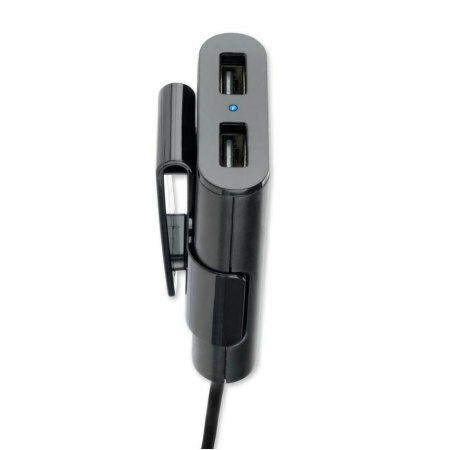 Each USB port on this charger outputs a maximum of 2.4 Amps, more than enough to get any smartphone raring to go. This charger can even power larger tablets. 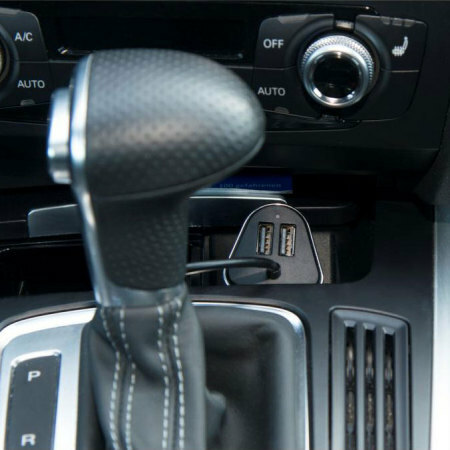 The USB hub component of this charger can be safely and securely installed on your vehicle's seat pockets or the back of the centre console, thanks to an innovative and sturdy clamp mechanism. 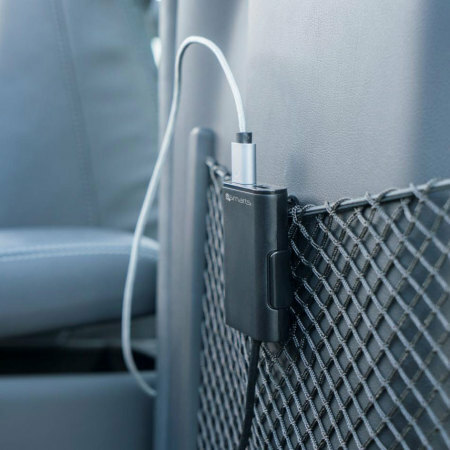 Even during bumpy rides, you'll still have power for your devices. 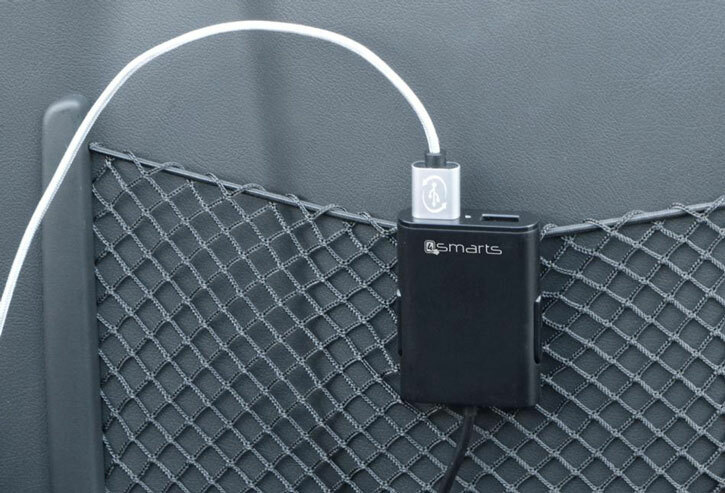 This charger from 4smarts will automatically reduce consumption as necessary, and sustain your battery when almost full. 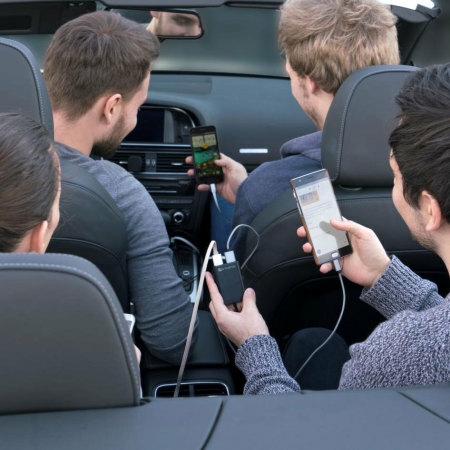 This means you can connect any smartphone, tablet or other device, safe in the knowledge your devices will never overcharge. There's no reason charging your devices shouldn't look good, too. 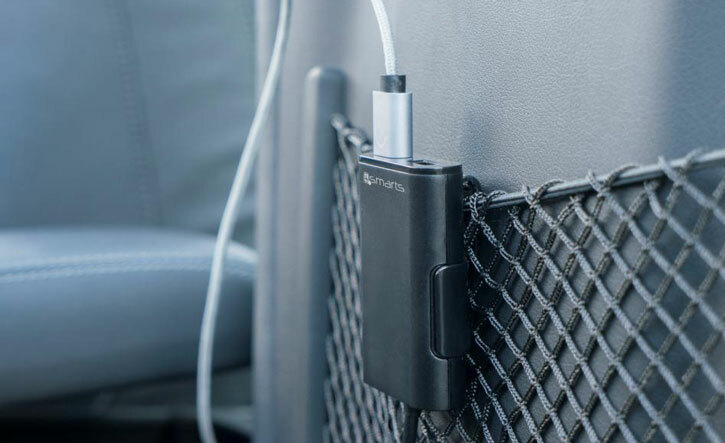 An elegant, understated modern design ensures this charger will fit perfectly into any car, and will complement the design of your vehicle perfectly.